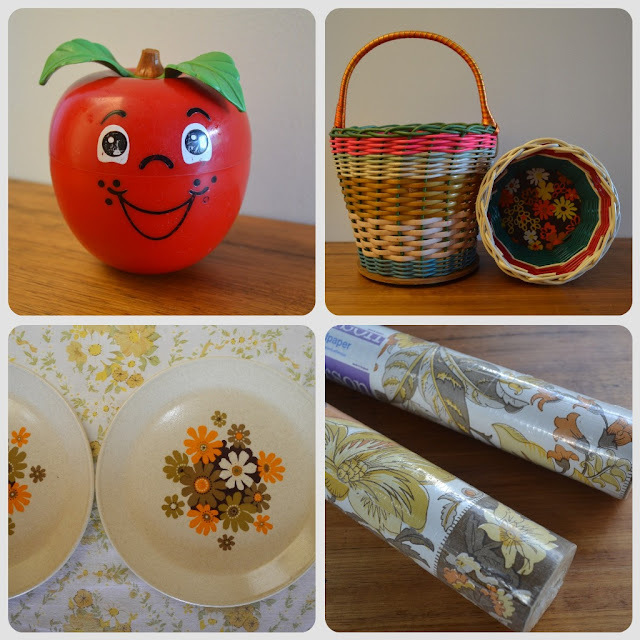 What a week it has been been for vintage thrifty finds!!! Every op shop I went into I found some treasure. Starting with this portable typewriter. My favourite would have to be this vintage Fisher Price "Happy Apple" for only 50c. It makes the sweetest chimes when shaken. Two tiny baskets. I love the contact in the bottom. Two as-new rolls of vintage wallpaper in a groovy brown/yellow floral print. 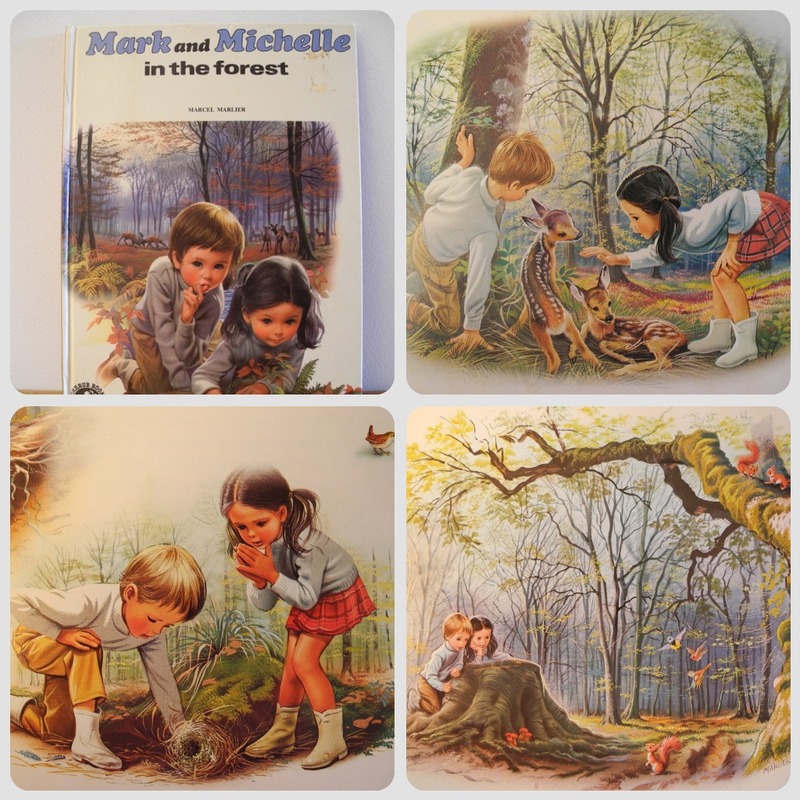 This charming book called "Mark and Michelle in the Forest" by Marcel Marlier. The illustrations are just beautiful. I love this vintage chenille bedspread. My daughter has the same one on her bed. Unopened vintage bed sheet sets...yay!! You had a very floral week! All your finds are devine. I love unopened sheets!! Oh my goodness, the brand new vintage sheets!!!!! oh I have a collection of marcel marlier books. lucky you! the illustrations are just so precious. love all your finds. oh my goodness!!!! these are all such fabulous finds. 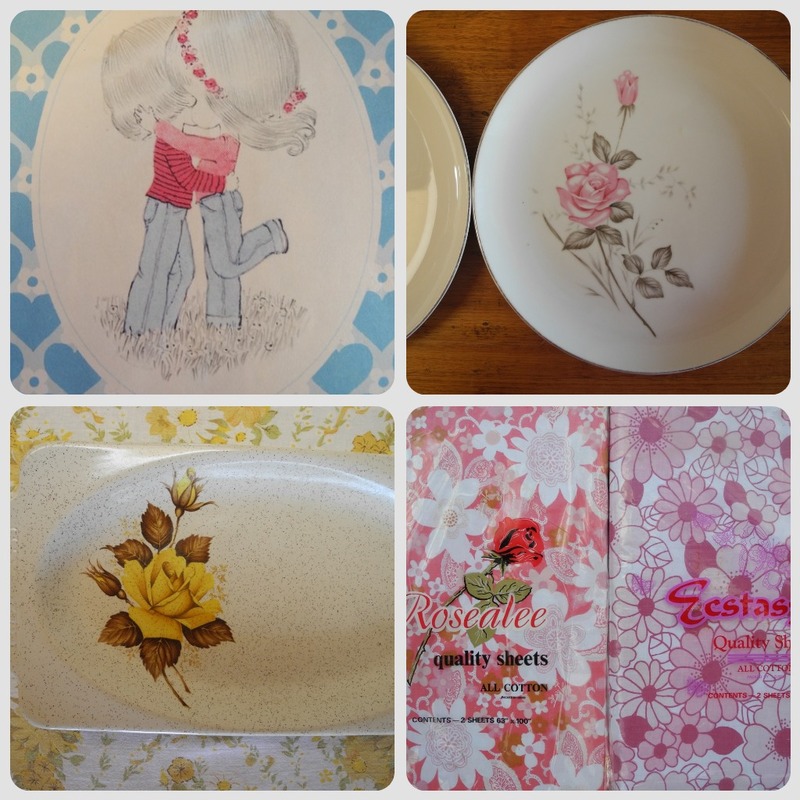 loving the johnson plates and vintage sheets still in plastic the most! well done! I'm sure that's the very same typewriter I had back in the 70's!! I think the roly apple was the first Fisher Price toy I bought for my daughter, it was so cute!